Search for Guest Services Coordinator is postponed. Earliest hiring would be May 2019, but may be later pending final 2018 budget and first quarter 2019 budget. This postponement has nothing to do any current applicants, and I will contact applicants via email when the process resumes. I fully understand each applicant's need to move forward in seeking employment, and each applicant has been contacted with my apologies for potentially delaying their other searches. Contact me directly with any questions or concerns at Barry@CampBethelVirginia.org. DO NOT APPLY. THIS POSITION HAS BEEN POSTPONED UNTIL FURTHER NOTICE. 1. If you have not already done so, read the Guest Services and Marketing Coordinator Position Description and other employment information. 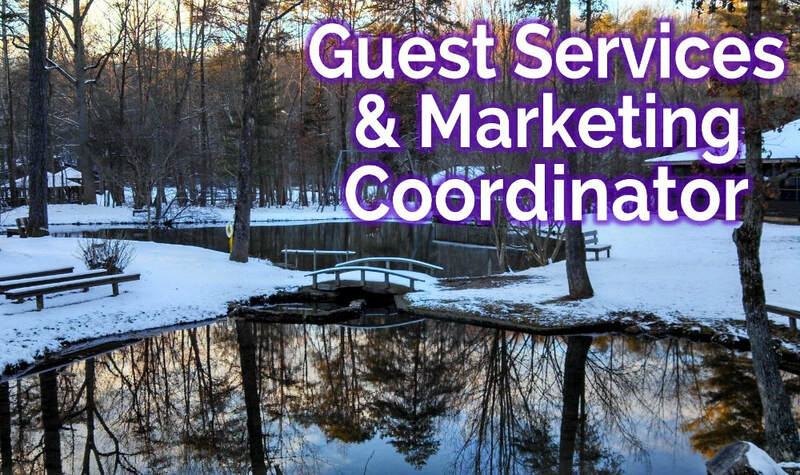 Read through our web site at www.CampBethelVirginia.org to discern if your skills, interests and beliefs are compatible with the services and programs of Camp Bethel, the Virlina District (www.virlina.org), and the Church of the Brethren (www.brethren.org). Guest Group Rental Agreement and Rates are at www.CampBethelVirginia.org/groups, and the 2018 Summer Camps Brochure is at www.CampBethelVirginia.org/camps. 2. If you have not already done so, e-mail (1) your updated résumé and (2) a letter of interest to Barry LeNoir, Camp Director at Barry@CampBethelVirginia.org. Send in WORD format or PDF. 3. Complete the Required Information and the Application Questions HERE. Alternatively, provide numbered answers to these questions (listed on page 7 and 8 of this document) as a WORD document or a PDF, and return as an e-mail attachment as soon as possible to Barry LeNoir at Barry@CampBethelVirginia.org. 4. ​Based upon your qualifications (see the position description), your application answers, your résumé, and your letter of interest, if you are chosen for an interview we must perform a comprehensive criminal background check for use in the decision process. If chosen for an interview, you will be contacted via e-mail for permission to perform a background check. Results of this background check will be held strictly confidential by the Camp Director, and your personal information will not be shared.